Jalpaite: Mineral information, data and localities. Named for the type locality at Jalpa (Mexico). 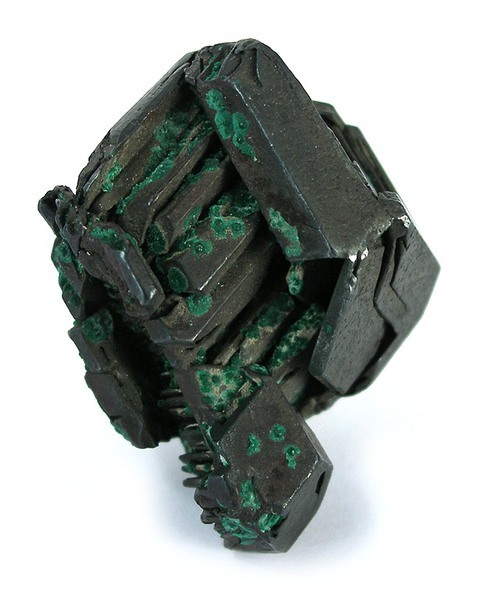 This page provides mineralogical data about Jalpaite. Iodargyrite 6 photos of Jalpaite associated with Iodargyrite on mindat.org. Azurite 6 photos of Jalpaite associated with Azurite on mindat.org. Chrysocolla 5 photos of Jalpaite associated with Chrysocolla on mindat.org. Silver 5 photos of Jalpaite associated with Silver on mindat.org. Malachite 3 photos of Jalpaite associated with Malachite on mindat.org. Tennantite 2 photos of Jalpaite associated with Tennantite on mindat.org. Quartz 2 photos of Jalpaite associated with Quartz on mindat.org. Acanthite 1 photo of Jalpaite associated with Acanthite on mindat.org. Mckinstryite 1 photo of Jalpaite associated with Mckinstryite on mindat.org. Tennantite-Tetrahedrite Series 1 photo of Jalpaite associated with Tennantite-Tetrahedrite Series on mindat.org. Djurle, S. (1958): X-ray study of the Ag-Cu-S system. Acta Chemica Scandinavica 12, 1427-1436. Skinner, B. J. (1966): The system Cu-Ag-S. Economic Geology 61, 1-26. Johan, Z. (1967): Jalpaite, Ag1.55Cu0.45S. Acta Universitatis Carolinae, Geologica (1967), 113-122 (in French). [Abs. in American Mineralogist 53 (1968) 1778]. Grybeck, D. & Finney, J. J. (1968): New occurrences and data for jalpaite. American Mineralogist 53, 1530-1542. Baker, C. L., Lincoln, F. J. & Johnson, A. W. S. (1992): Crystal structure determination of Ag3CuS2 from powder X-ray diffraction data. Australian Journal of Chemistry 45, 1441-1449. Hu, J. Q.; Deng, B.; Zhang, W. X.; Tang, K. B.; Qian, Y. T. (2001): A convenient hydrothermal route to mineral Ag3CuS2 nanorods. International Journal of Inorganic Materials 3, 639-642. Asadov, Yu. G.; Alyev, Yu. I.; Jafarov, K. M. (2008): X-ray diffraction study of compounds in the Ag2S-Cu2S system. Inorganic Materials 44, 460-466. Trots, D. M.; Senyshyn, A.; Mikhailova, D. A.; Vad, T.; Fuess, H. (2008): Phase transitions in jalpaite, Ag3CuS2. Journal of Physics: Condensed Matter 20, 455204/1-455204/10. Tokuhara, Y., Tezuka, K., Shan, Y. J. and Imoto, H. (2009): Syntheses of complex sulfides AgCuS and Ag3CuS2 from the elements under hydrothermal conditions. Journal of the Ceramic Society of Japan, 117, 359-362 (in Japanese). ⓘ Mount Lyell Mines ? I. R. Mulholland, A. Cowden, I. P. Hay, J. C. Ion & A. L. Greenaway (1998): Nimbus silver-zinc deposit. In: Berkman, D.A. & Mackenzie, D.H., eds., Geology of Australian and Papua New Guinean mineral deposits, Monograph 22, Australasian Institute of Mining and Metallurgy, 273-277. Xiang-Ping Gu, Makoto Watanabe, Kenichi Hoshino, and Yasuhiro Shibata (2003): European Journal of Mineralogy 15(1), 147-155. Šulcová, V. and Kašpar, P. (1986) Mckinstryite and jalpaite from the Pošepny vein at Vrančice near Přibram, Czechoslovakia. Časopis pro Mineralogii a Geologii, 31, 183-184 (in Czech). Müller-Kahle, E. (1962): Deposit of the Montecristo Mine, El Salvador, and its geological character. Neues Jahrbuch für Geologie und Palaeontologie, Abhandlungen 115, 289-334. BLAß, G. & GRAF, H. W. (1996): Neue Mineralienfunde aus dem Siegerland und von der Grube Clara im Schwarzwald. - Mineralien-Welt 7 (4), 14-16. Szakáll & Weiszburg: Topographia Mineralogica Hungariae II. Patterson, J.M. (1970) Unpub. Ph.D. thesis, University of London. ; Morrissey, M.J. et al. (1971) Trans. Inst. Mining Metall., sect. B., 80,174-85.; Ryback, G., Nawaz, R. and Farley, E. (1988) Seventh Supplementary List of British Isles Minerals (Irish). Mineralogical Magazine, vol. 52, n° 365, pp. 267-274.; Singer, D.A., Berger, V.I., and Moring, B.C., (2009) Sediment-hosted zinc-lead deposits of the world; database and grade and tonnage models: U.S. Geological Survey Open-File Report 2009-1252. Orlandi P. & Silvani A (1994). : Jalpaite, Pearceite ed altri minerali di argento di Boarezzo VA., Riv. Min. It., 4, 343-347. Orlandi, P., & Campostrini, I., 2006. Boarezzo. I minerali della ricerca mineraria "Pradisci". Rivista Mineralogica Italiana, 30 (1), 14-24.
ⓘ Tada mine (Tada-gin-douzan; Tada-ginzan; Tada silver-copper mine) ? Taguchi et al (1974) Koubutsugaku Zasshi, 11, 345-358. Berg- und hüttenm. Zeitung (1858) 17, 85-86; Panczner(1987):241. Lietz, J. (1939): Mikroskopische und chemische Untersuchungen an Kongsberger Silbererzen. Zeitschr.ang. Min. 2, 65-113 ; Neumann, H. (1985): Norges Mineraler. Norges geologiske Undersøkelse Skrifter 68, p. 16. Alves, P. (2017) The Mining District of Vale das Gatas, Sabrosa, Portugal. Mineral Up Vol. IV, nº5, 8-53. Frank Keutsch collection analyzed specimen; Bestemianova, K. V., & Grinev, O. M. (2017, December). 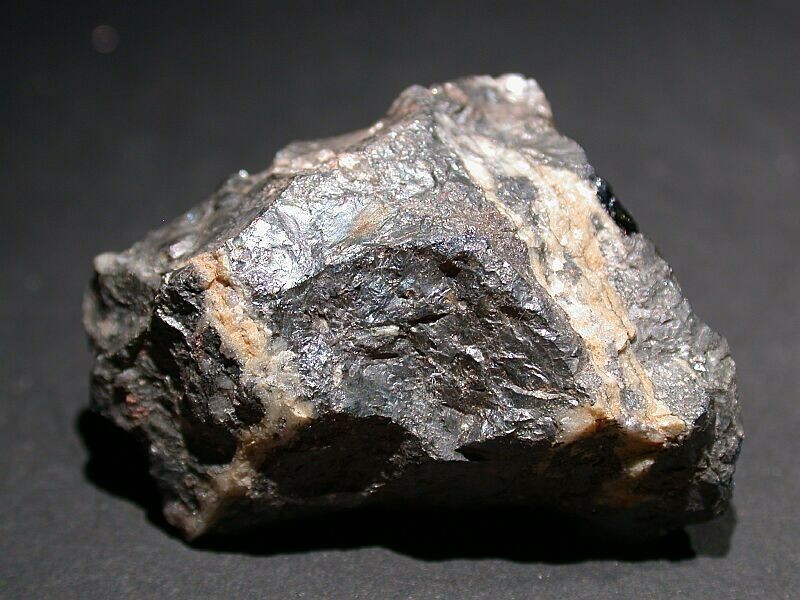 Barite-polymetallic mineralization of Zmeinogorsk ore district and some genetic aspects of its formation. In IOP Conference Series: Earth and Environmental Science (Vol. 110, No. 1, p. 012003). IOP Publishing. [Der Aufschluss 1995:4 p.163-180]; Okrugin, V. M. (2004). Miocene to Quaternary center volcanic, hydrothermal and ore-forming activity in the Southern Kamchatka. In Metallogeny of the Pacific Northwest (Russian Far East)-Tectonics, Magmatism and Metallogeny of Active Continental Margin, Interim IAGOD Conference, Excursion Guidebook, Dalnauka, Vladivostok, 2004 (pp. 147-176). Volkov, A. V., Savva, N. E., Kolova, E. E., Sidorov, A. A. (2018): Peculiarities of ore formation at the Teploe Ag–Au deposit, Northeast Russia. Doklady Earth Sciences 481, 869-872. Иващенко, В. И., Голубев, А. И., Ivashchenko, V., & Golubev, A. (2015). НОВЫЕ АСПЕКТЫ МИНЕРАЛОГИИ И МЕТАЛЛОГЕНИИ ПИТКЯРАНТСКОГО РУДНОГО РАЙОНА. Серия Геология докембрия, (7), 127-148. Kuzhuget, R. V., Zaikov, V. V., Lebedev, V. I., & Mongush, A. A. (2015). Gold mineralization of the Khaak-Sair gold-quartz ore occurrence in listwanites (western Tuva). Russian Geology and Geophysics, 56(9), 1332-1348. Nysten, C. Malmmineralogisk undersökning av Pb-, Zn-, Cu- och Ag-förande kvartsgångar i Värmskogsområdet, mellersta Värmland. Uppsala universitet, Institutionen för geovetenskaper. Examensarbete NV3, Berggrundsgeologi, 30 hp. nr 254. 107p. Blanks, D. E., Holwell, D. A. and Coller, I. V. (2014), Multi Stage Epithermal Au-Ag Mineralisation in the Kiziltepe Deposit, Western Turkey: Evidence From 3D High Resolution CT Scanning. Acta Geologica Sinica, 88: 706–707. Anthony, J.W., et al (1995), Mineralogy of Arizona, 3rd.ed. : 260; Graeme, R. (1993), Bisbee revisited, Min.Rec. : 24: 421-436. ("Minerals of Colorado, updated & revised", by Eckel, Edwin B., 1997); Foord, E. E., & Shawe, D. R. (1989). The Pb-Bi-Ag-Cu-(Hg) Chemistry Of Galena And Some Associated Sulfosalts: A Reviewand Some New Data From Colorado, California And Pennsylvania. Canadian Mineralogist, 27, 363-382. Minerals of Colorado (1997) E.B. Eckel; Raabe, K. C. & Sack, R. O. 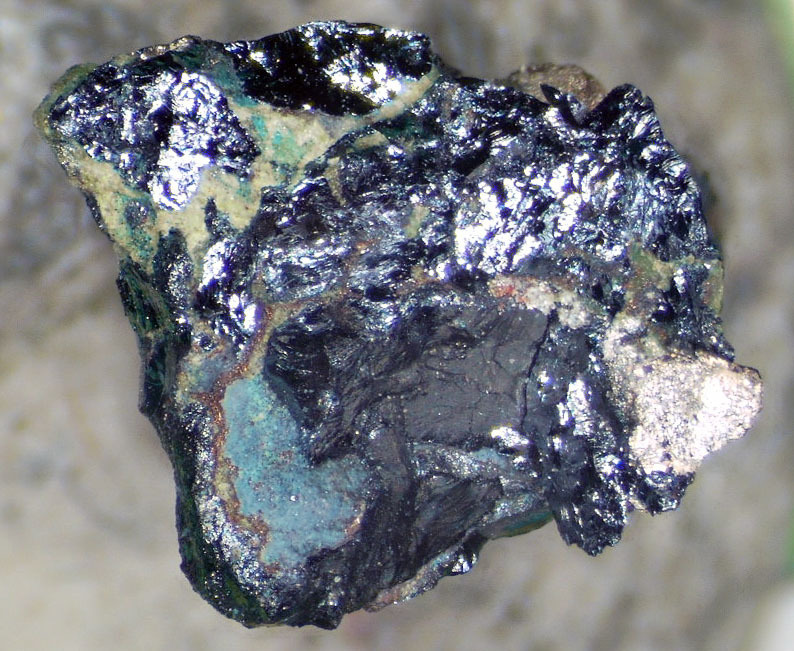 (1984): Growth zoning in tetrahedrite-tennantite from the Hock Hocking mine, Alma, Colorado. Canadian Mineralogist 22, 577-582. Grybeck, D. & Finney, J. J. (1968): New occurrences and data for jalpaite. American Mineralogist 53, 1530-1542.; Minerals of Colorado (1997) Eckel, E. B.
Gearity, E. C. (2013). Geology of the Marysville Mining District, Montana: two phases of mineralization (Master dissertation, Montana State University-Bozeman, College of Letters & Science).